You can help unemployed men get back into employment by organizing a suit drive at your place of work. 1) Ask your colleagues to bring in donations on a particular day, or throughout a particular period (e.g. Monday–Friday). Avoid quieter periods such as Christmas, summer holidays and staff events when there are fewer colleagues around. 2) Publicise the suit drive as much as possible in advance e.g. through the intranet, staff meetings and notices, and signage and posters, where possible. Please let your colleagues know about the work that we do in supporting our clients into work. Our clients are vulnerable and long-term unemployed (e.g. poorly housed, ex-offenders, ex-military personnel, looked-after children, in recovery from a mental health problem). 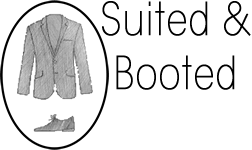 We don’t have a budget for dry-cleaning or laundering so we are very appreciative if donations are interview-ready – clean and in good condition and ready to wear. 3) Designate a collection area or areas where colleagues can drop off their donations. Collection boxes and rails may be useful for this. 4) When the suit drive is finished, please email Suited & Booted to let us know when to expect delivery. donations, so we rely on your kindness and generosity to deliver or courier the donations to us. As we don’t have a budget for cleaning, we are very grateful if clothing is dry-cleaned or freshly laundered and ironed.